KATHMANDU, Jan 22: As many as 20 liquefied petroleum (LP) gas bottlers have not yet submitted their documents to the Nepal Bureau of Standards and Metrology (NBSM) for Nepal Standard (NS) certification. 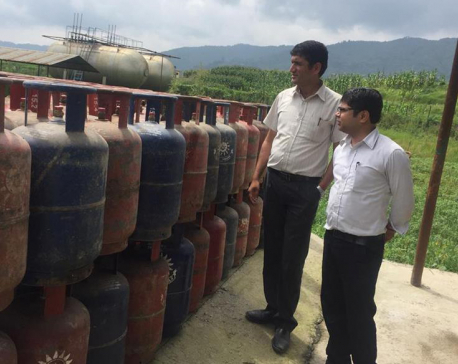 The government has made Nepal Standard 533, the legal standardization introduced by the bureau, mandatory for all LP gas bottling plants. Experts, as well as NBSM, have been saying that cylinders without NS certification are not safe for use. Bottlers must submit their plant registration document and 'Quality Manual' to the bureau for NS certification. Quality Manual is a documented description of the processes of reception, bottling, and delivery of the LP gas by the bottlers. It is also the document where bottlers make a commitment to abide by the NS 533 Regulation, according to officials of NBSM. 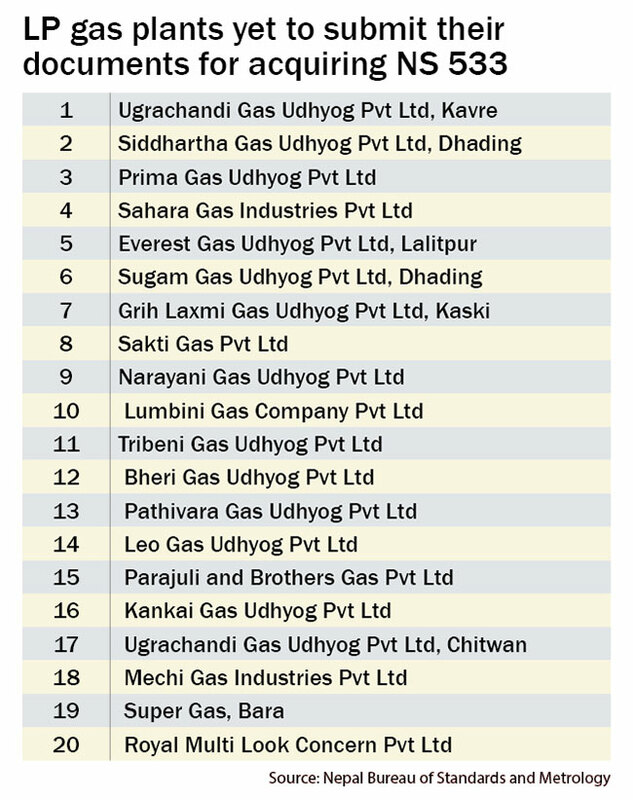 According to NBSM, plants that have not submitted their documents for certification include Ugrachandi (Kavre), Siddhartha, Prima, Sahara, Everest, Sugam, Griha Laxmi, Shakti, Narayani, Lumbini, Tribeni, Bheri, Pathivara, Leo, Parajuli and Brothers, Kankai, Ugrachandi (Chitwan), Mechi, Super, and Royal Multi Look. The delay in submission of documents for certification indicates the reluctance of the plants to abide by the NS 533 regulation. "We are yet to receive quality manuals of 20 gas plants," said Alok Kumar Mishra, director of NBSM, told Republic“. "NS 533 has been declared mandatory for the gas plants by the government. Those 20 gas plants do not have an option other than submitting their quality manuals if they want to stay in the business," he added. 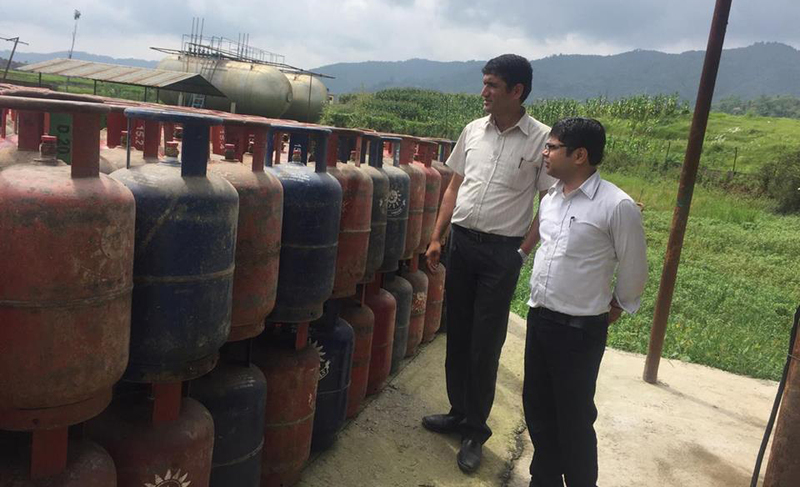 There was a positive response from bottlers after the bureau conducted raids on three gas plants of Banepa -- Chandeshwari Gas, Surya Gas, and Sagarmatha Gas - on January 5 and decided to take action against them. Following the raid, NBSM received applications from all the 57 gas plants. However, the delay in submission of documents by the 20 gas plants has put a question mark on the safety and reliability of gas cylinders circulated in the market by those plants. 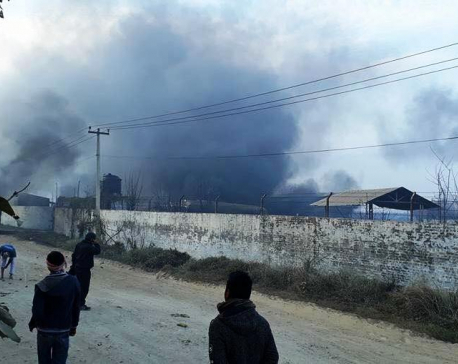 Security concerns regarding gas bottling plants came to light after a fire broke out in Birgunj-based Super Gas Industry in December, claiming three lives. Experts say lack of regulatory body has emerged as a serious hurdle in recent days. State-owned Nepal Oil Corporation (NOC) is more of a business body than a regulator. The NOC supplies LP gas to the bottlers.